A bay window and double doors give the lounge a classic elegance that counterpoints the bright, relaxed family kitchen and dining room with its feature french doors. 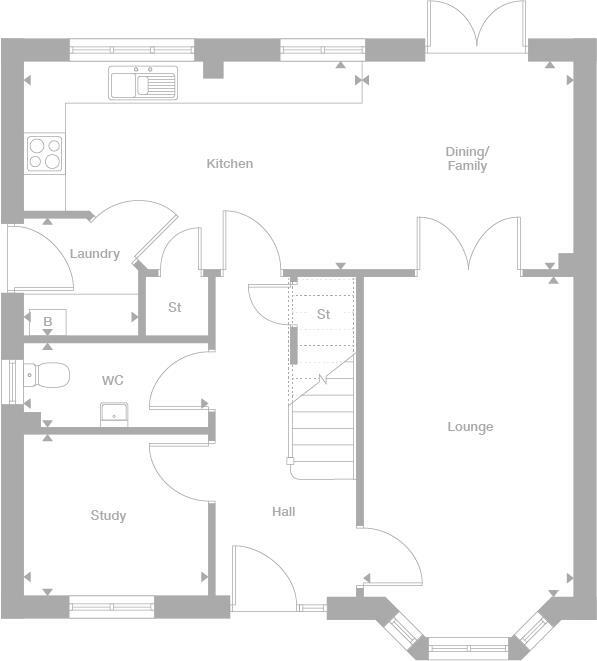 There is a separate laundry room, a study, and four bedrooms. The master bedroom has a walk-in wardrobe area as well as an en-suite shower room. A new home. The start of a whole new chapter for you and your family. And for us, the part of our job where bricks and mortar becomes a place filled with activity and dreams and fun and love. We put a huge amount of care into the houses we build, but the story’s not finished until we match them up with the right people. So, once you’ve chosen a Miller home, we’ll do everything we can to make the rest of the process easy, even enjoyable. From the moment you make your decision until you’ve settled happily in, we’ll be there to help. Miller Homes at Shawfair is part of a major initiative designed to allow an entirely new community to grow and flourish. 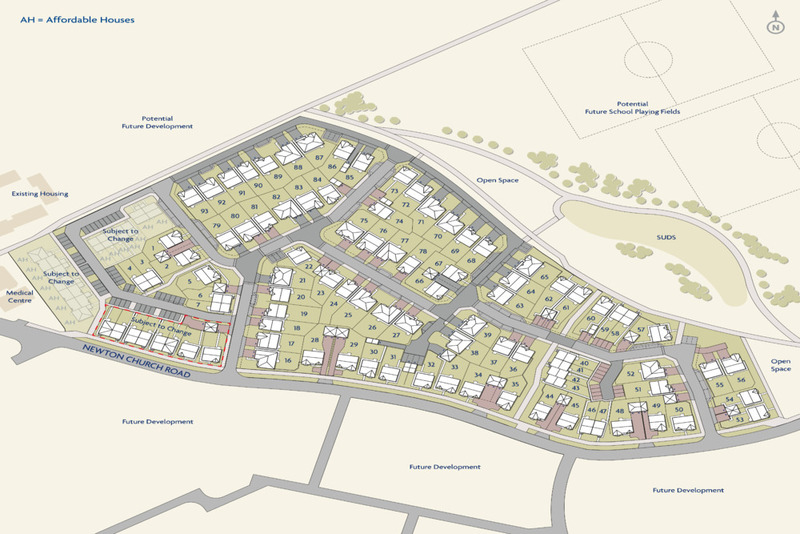 Modern, high quality homes will be supported by new schools, leisure facilities, shops, offices and extensive landscaped green spaces, ready to mature into a thriving place where people can live, learn, work and play. 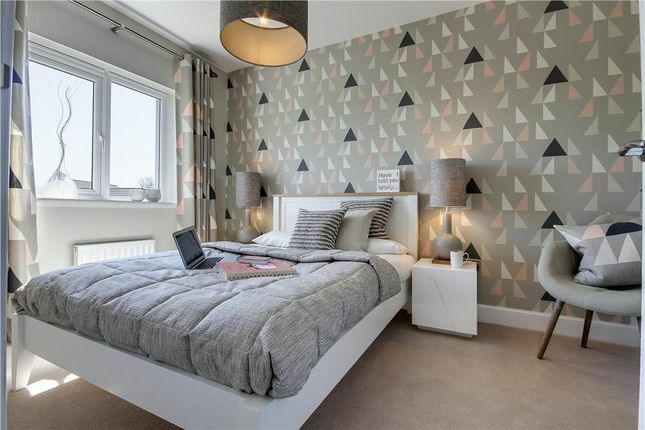 Its semi-rural setting brings an air of country living to the edge of the capital, and its excellent transport links include a railway station and a network of foot and cycle paths. Adhering to the highest principles of sustainability as well as relaxed, safe family living one of the Project Partners is the Edinburgh Centre for Carbon Innovation. Shawfair is not only the largest urban expansion programme to date in Edinburgh and Midlothian, it sets the benchmark for premium quality residential planning. You can find out more information on this dedicated website about Shawfair. Miller Homes at Shawfair is within walking distance of a pharmacy, newsagents, convenience store, post office and co-op food store. Recycling bins for glass, cans and textiles can be found in the Co-op car park. Bars and family friendly restaurants in the local area include the Old Colliery, the buffetstyle Beijing Banquet and the Cockatoo Bar and Restaurant, with its conservatory dining room. Strategically located just over a mile from the City of Edinburgh Bypass and less than five miles from Princes Street, Danderhall has excellent bus and rail connections. Shawfair Station, a pleasant ten minute walk from the development, is on the new Borders Railway line between Edinburgh Waverley and Tweedbank, with services roughly every half hour and a journey time of fifteen minutes into the city centre. Sheriffhall Park and Ride, around fifteen minutes walk away, is served by Lothian Buses 33 and 49. Both of these services, as well as others linking Edinburgh with towns in the Borders, stop less than half a mile from the development. Edinburgh Airport, the Forth road bridges, the M8 and the A1 can all be quickly reached via the City of Edinburgh Bypass. There is also a choice of bigger retail parks in easy reach. Dobbies shopping village includes the largest garden centre in Scotland, and the huge selection of high street names at Fort Kinnaird is accompanied by a choice of restaurants and a seven-screen Odeon cinema. Straiton Retail Park, quickly accessed via the City of Edinburgh Bypass, sits alongside Sainsbury, Asda and Ikea stores, and there is another wide selection of shops at Cameron Toll. Come along and visit our five bedroom Jura showhome. Leave the centre by South Bridge and Clerk Street. Turn left at the junction just after the Queens Hall, then right at the t-junction into St Leonard’s Street. Carry on to the Cameron Toll roundabout, and take the second exit to join the A7. Just over two and a quarter miles on, immediately after passing a ‘schoolchildren’ sign, turn left, signposted for ‘Medical Practice’. Carry on to the mini- roundabout and take the second exit. The entrance to the development is on the left, around 100 yards on. Leave the Bypass at the Sheriffhall roundabout to join the A7 for Edinburgh. Stay on the A7 for one mile, then turn right into Newton Church Road, signposted for Danderhall. Carry on to the mini- roundaboutand take the second exit. The entrance to the development is on the left, around 100 yards on. Property descriptions and related information displayed on this page, with the exclusion of Running Costs data, are marketing materials provided by Miller Homes - Miller Homes at Shawfair, and do not constitute property particulars. Please contact Miller Homes - Miller Homes at Shawfair for full details and further information. The Running Costs data displayed on this page are provided by SmartNewHomes to give an indication of potential running costs based on various data sources. SmartNewHomes does not warrant or accept any responsibility for the accuracy or completeness of the property descriptions, related information or Running Costs data provided here.